Lately I’ve been testing out LED lighting for my still photography. I think this post will be revised or updated as I continue to test more lighting options, but for now I’m going to deal only with shooting portraits and fashion. LED lighting is also great for Still Life photography, is very easy to use, and best of all – what you see is what you get. 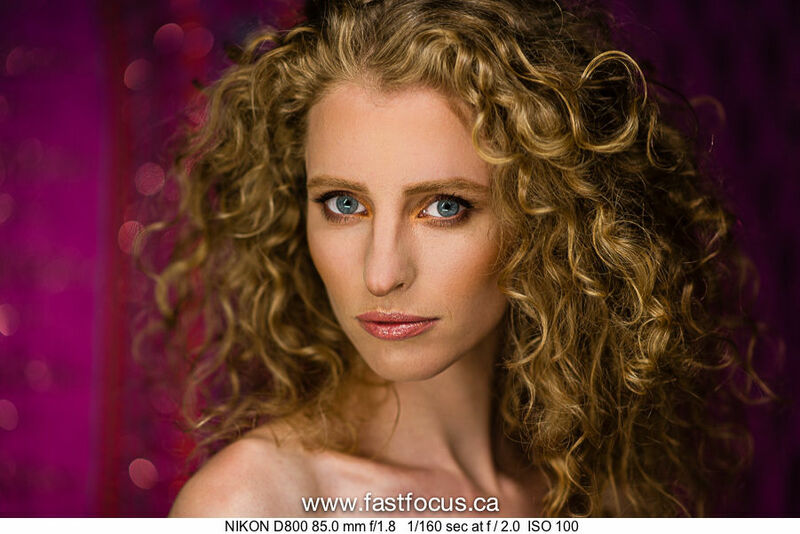 With today’s cameras that shoot noiseless images at high ISO, it’s easy to do still photos with continuous lighting. As an added benefit, it’s easy to switch gears and shoot video. LED lights come in several varieties – usually either daylight balanced or tungsten. A few manufactures (Rotolight, LED GO, Fiillex, Kino Flo) have technology that have both Tungsten LED’s and Daylight (Bi-Colour) and allow you to dial in the exact colour temperature that you’re looking for. In the case of the Rotolight Anova, which I’ve tested below, there is a command dial on the Bi Coloured unit, that allows you to dial in this setting. Below is a fashion setup where we have a 3X light setup, balancing Daylight with LED Lights. I will follow this up with a gear list. 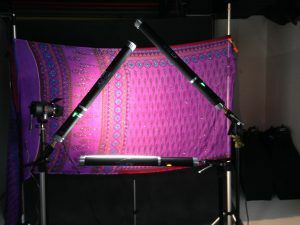 Our 2X main lights are Bi Coloured Rotolight Anova’s setup on 2X Kupo C-Stand kits, our hairlight that is in the back is a Fiilex P360 W/barndoor, also set up on a Kupo C-Stand kit. All of these lights have built in dimmers, which work well without effecting the colour temperature and get the correct exposure. 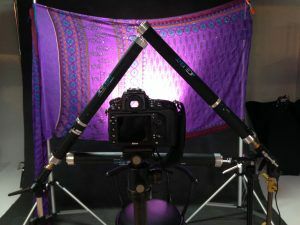 In the setup above, our key light is camera right, and our fill is camera left, about a 1 stop difference between the two, very easy to setup using a meter. The Rotolight Anova creates a beautiful round catch light that is reminiscent of an old Hollywood-style movie light, it is easily softened by adding pre cut diffusion filters to the front of the light, which are included. For the next setup I used the Westcott Icelights, these are daylight balanced LED lights, that are in the shape of a strip light. 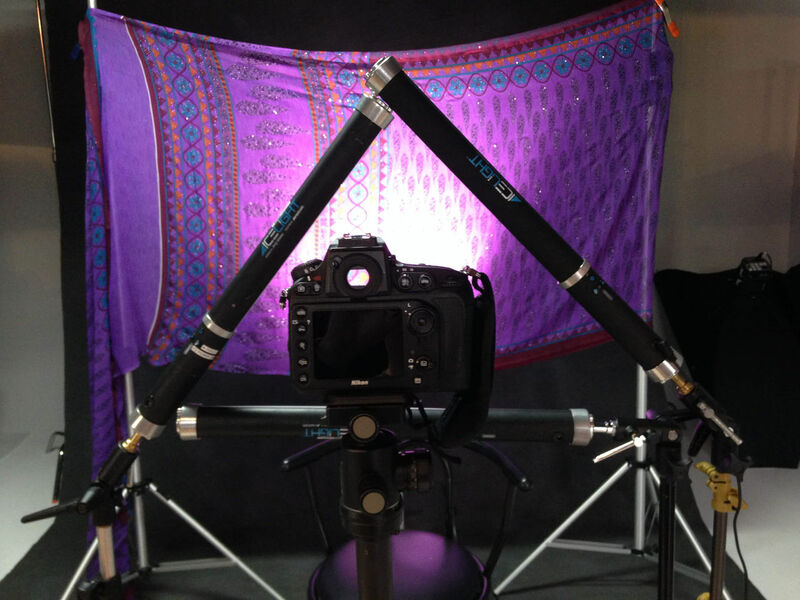 The setup below uses 3 Icelights in a triangular configuration, and a Fiilex P360 W/barndoor, for the background. I’ve included a few photos of the setup here first, shot with my iPhone. I used the P360 almost at 3200K to really warm up my background and get this nice purple colour from the material I was shooting which was actually a “Saree”. So next time you’re looking to try something new and exciting with your lighting, why not try experimenting with some LED lighting, they’re some of the most colour accurate lights you can buy today, just make sure you use a colour checker when shooting your images.